Hi everyone! Happy April! I read less books in March than I do in a usual month but it was my first official month in my new role at work and so that took a bit of adjusting too. That being said, the books I did read were fantastic! Looking back at the books I read in March I’ve just realised how many great books there were. I revisited an old favourite on audio, started a fantastic new fantasy series, finished one of my favourite trilogies and also discovered some new favourites. If only every month was this good! I am a little behind on reviews but I’ve posted all my ratings below with links to the review if it’s live or the Goodreads page if not! I absolutely had to pick State of Sorrow by Melinda Salisbury for my March Book of the Month! This book is such a beauty. I loved so much about it: the characters, the politics, the tension, the setting. It’s definitely a slow burn for a fantasy novel but I really liked how that helped to emerge me into Sorrow’s world. As much as it is sorrowful, it is also exciting! Can’t wait for book two already! If you read my 2018 Goals and Challenges post you will know that I am once again completing a Goodreads goal as well as completing some other challenges. I’m not going to update every single one here so if you want to see my progress in all of them then check out this page! Here are my posts from this month in case you missed any (I’ve not included my WWW posts but click on the title to find them all)! I’d love to hear what you think about the content I post and whether there is anything you’d like to see more of. As I mentioned at the top of this post, I recently started a new role in work which has brought with it a new challenge for my career. I am so lucky as this is the job I always dreamt of having and whilst I may only be doing this as a maternity for now, who knows what the future could hold? I am looking forward to April because I currently have two weeks off and my second week is filled with wonderful bookish events! I’m going to Newcastle for the first time to see my lovely Steph chairing an event with Melinda Salisbury and Alice Broadway, then we are travelling to London together for YAShot (more about that next week!) and it is also the UKYABA blogger awards next week too. Still can’t quite believe I am shortlisted and can’t wait to see all my other blogger friends there. I was super lucky to receive an invite to The LBF UK Book Blog Awards 2018 too and to be offered a three day press pass (how did this happen?!) but unfortunately I can’t attend. Hopefully this can be something I do next year! What were your favourite reads in March? Did we read any of the same books? ← Bank Holiday Book Tag! Great wrap up! It seems you had a wonderful month for reading! I’m so glad you enjoyed Obsidio! I have yet to read it but everytime someone mentions it I get even more excited for it! Obsidio is one hell of a ride!! Reading seven books is still really great! I loved Simon Vs. 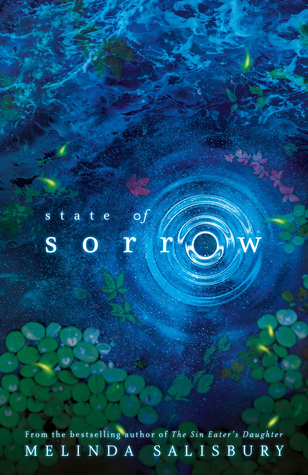 I am dying to get my hands on State of Sorrow. So awesome that you are currently working your dream job! April sounds like it’s going to be a fantastic month! You really a lot of good books this month. I also read and loved Simon vs in March! I can not wait to read Clean. I have been hearing amazing things about it. Clean is absolutely incredible, very hard hitting but such a great read. Glad you also enjoyed Simon! State of Sorrow is a slower fantasy but all the politics are really intriguing and the characters are SO well written!